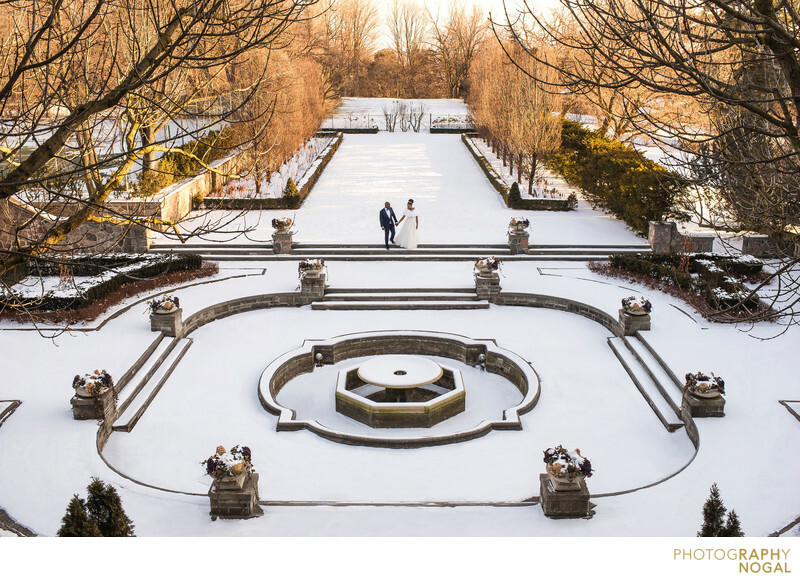 Graydon Hall Manor in Toronto was made that much more magical by the fresh snow for this winter wedding. The grounds were in such pristine shape after the snowfall, that I knew photographing the bride and groom out on the estate would make for a gorgeous shot. Shooting the couple from a distance and making them appear small creates the feeling that we’re looking in on a beautiful, private moment between two newlyweds. This photo was taken with a Nikon D750 DSLR at ISO 200, f8 aperture, 1/200th shutter speed with a Nikon Nikkor 35mm f1.4 prime lens, at 35mm focal length. The lighting was natural light.